Situated on the Gulf of Finland and spread over numerous islands in the Neva Delta, St Petersburg is a city of arched bridges, winding canals, elegant palaces, impressive squares and ornate churches. 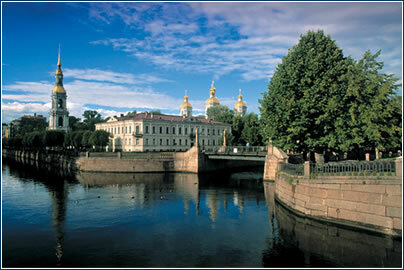 It has an elegance comparable to European capitals, but beguiles with a Russian charm all its own. Advice: Almost every building in St. Petersburg is a historical monument. It’s one of the most beautiful Russian cities, and well worth the visit. 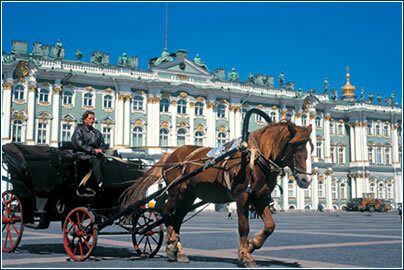 Favorite attractions: The Winter Palace, The State Hermitage Museum or The Summer Palace of Emperor Peter the Great. Advice: St. Petersburg is centre of russian intelligentsia, apart from Russian you can speak English, German and even French there. Favorite attractions: If you have a sense of humor, then try the cruiser Aurora, every day with a different double of Lenin. Best-kept secret: Discover the secret corners of the expansive Russian soul, which often can’t be grasped in only one visit. Advice: Travel without prejudice and keep an open mind, and your trip to St. Petersburg will pay off. For the first visit, however, you should enlist the services of a travel agency. petersburgcity.com/for-tourists/ – a useful little guide, with info ranging from Visa requirements to an online phrasebook. www.lonelyplanet.com/destinations/europe/st_petersburg/ – the folks at Lonely Planet offer a more “insider’s“ look at the city’s history and happenings. 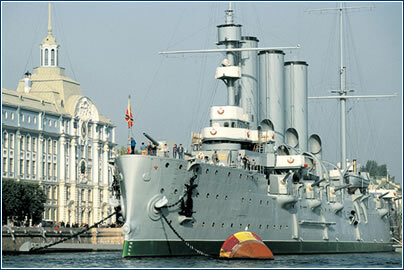 www.waytorussia.net/SaintPetersburg/Guide.html – a sombre, well-designed cache of interesting info and useful links. www.fodors.com/miniguides/mgresults.cfm?destination =st_petersburg@151 – Fodor’s online “mini-guide“ is a user-friendly overview. · Formal business etiquette is very important, and both men and women should wear smart, sombre business suits. Visitors should start each meeting with a handshake and business card exchange, printed in both English and Russian. Always wait for the senior Russian present to start the meeting, and participate only when invited. Doing some research in advance about everyone at the meeting is also advised (referring to colleagues by their first name and patronymic is a reliable way to show some knowledge of Russian culture). · When shaking hands, foreign businessmen should never extend their hands to a Russian businesswoman, unless hers is already offered, as such a gesture is considered very rude. · Normal office hours are Monday-Friday 10.00-18.00, with a lengthy lunch break, usually 12.00-14.00, during which no work is done – even telephones are left unanswered. A business colleague may offer an invitation for a night on the town or dinner at his/her home. If invited to a Russian’s home, a small gift of wine or flowers (an even number) is appreciated – and try not to discuss business until the host initiates it. 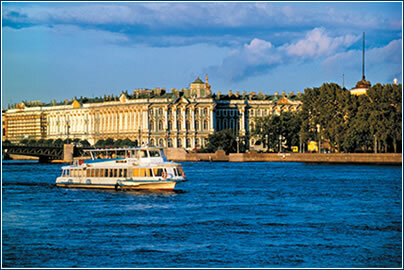 · St Petersburg, the second-largest industrial center in Russia, is a major manufacturing and research hub. The last few years have, however, seen a major transformation toward modern technologies, with new industrial leaders emerging, taking over old city-center factories for conversion, or building new facilities on the eight industrial zones on the periphery of the city. The main artery of the city for business is Něvský Prospekt, with most offices situated on or near it. · St Petersburg also benefits from having a well-educated workforce, coupled with world-class educational and research facilities making it very attractive to inward investment, particularly in the field of high-tech industries. It is also a major transportation hub and the country’s largest seaport. The leading industries are engineering, shipbuilding, transport, food processing and paper processing. Tourism is fast emerging as a chief contributor to the economy. · Unemployment in the Russian Federation officially stands at 11%. However, no account is taken of workers who are still registered with employers but recei-ve no remuneration, as many Russian workers continue to go to work but receive no pay, and some stop going to workplaces that do not have the funds to pay their wages, although they may still officially be on their books.